UFC 225 is a major card for 2018. In many ways, it’s the year’s first major event, as others have been marred due to late injuries. The card's co-main event features Rafael dos Anjos, who is looking to silence the bombastic Colby Covington and secure an interim welterweight title. Although there are questions about the need for this Interim Welterweight Championship, winning this bout would still put Dos Anjos in a historic place amongst his peers in the UFC. Looking back at his career, this is a far ways off from where it was projected to be for the Brazilian competitor at various times during his stint with the promotion. With a win on Saturday night, Rafael dos Anjos will improve his record to 29-9, but more importantly, he will become the fourth UFC fighter to hold titles in two divisions. RDA shocked many observers when he snatched the lightweight title away from Anthony Pettis in March 2016, but he’s looked just as impressive since moving up to 170 pounds. In one year he’s defeated former Strikeforce champion Tarec Saffiedine, longtime welterweight contender Neil Magny, and former UFC Welterweight Champion Robbie Lawler. In each bout he looked exceptionally better, each win adding voices to the chorus that believes in his ability to provide a true test for the 170-pound kingpin, Tyron Woodley. But let’s rewind the clock nearly 10 years to UFC 91. 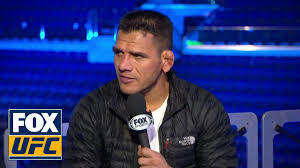 Dos Anjos was riding a nine-fight win streak and making his UFC debut against Jeremy Stephens, a fighter that had high expectations but was struggling to live up to them at the time. In that fight, Stephens would brutally knock Dos Anjos out with an uppercut, a highlight that is still part of Stephens' reel to this day. 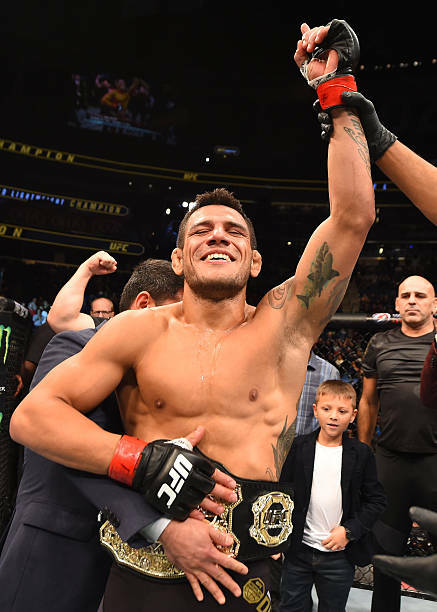 After that defeat, Dos Anjos managed to perform well in the Octagon, but he struggled to get the big breakthrough win that would jumpstart his career. Fighters that were able to negate his grappling abilities with hard-nosed wrestling continued to be his foil, stopping any type of momentum that he could develop. 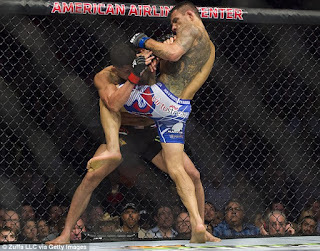 Still, Dos Anjos continued to quietly improve his skill set, and when he was tapped to face Pettis at UFC 185 it was due mostly to his ability to string together consistent performances, positioning himself to capitalize on timing. The rest is history, and even though he would drop the lightweight title to Eddie Alvarez the next year, Dos Anjos had already exceeded most of the expectations that were placed on him. But Rafael Dos Anjos has to pass the tough test that is Colby Covington in Saturday night's co-main event in order to reach this historic moment. If he can overcome this challenge, dos Anjos deserves to be recognized and praised as an athlete that has continued to improve, and has overachieved in a sport where many are perhaps too quick to judge how far a fighter can go.